The new Alexa remote expands on the older model in a pretty useful way. In essence, with the new remote it isn't that important if you don't have your dedicated TV remote to hand. Amazon explains that, as well as the usual streaming control and Alexa voice control features, the all-new Alexa Voice Remote provides users with handy power, volume and mute buttons to control your compatible TV, soundbar and receiver. If you think about your smart-streamer and TV watching activities, the all-new Alexa Voice Remote might sound like a neat all-in one solution. In our household the original TV remote is only used to turn on the TV and adjust the volume * and then the smart device control takes over, such as the phone for Chromecast or the dedicated Now TV remote. (*Importantly the TV remote is also used to switch TV input source, a function which the Amazon sadly remote lacks). 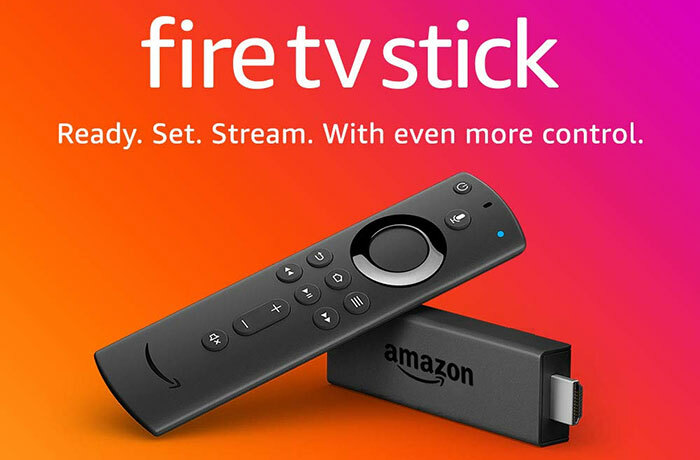 Some readers might already own a Fire TV Stick, or another streamer from this family like the Fire TV Stick (2nd Gen), Fire TV Stick 4K and Amazon Fire TV (3rd Gen, Pendant Design). If you do, you might be happy to know that the all-new Alexa remote is compatible with said devices and, here in the UK, it is available separately on offer at £14.99, while Amazon claims it is usually priced at £29.99. No AV/Source button makes this pretty pointless in my opinion. Sure its helpful but then when you do need the AV button the TV remote will be even harder to find. I guess its because Amazon believe the firestick is all you need entertainment wise. I do not agree (even though I like Prime video) as Android mobile games do not equal a console! isn't this the same old not “all new” remote that comes with the 4k firestick i already have? lol! I literally just returned a FireTV stick because ‘the remote was defective; it doesn’t turn volume up and down' as it lacked that functionality and Amazon didn't make it very clear that it did. I had previously bought a 4k version that has the great remote. We now have 3 FireTV 4Ks in thouse. Getting the first one was like a shot of crack; can't go back to media PCs! If you need advanced remote functionality maybe consider repurposing an old smart phone with an IR blaster (Like an S5) and use Peel, or perhaps get a Logitech Harmony. Expect shortcomings with a device built for a specific use and is free with the product. Since having my FireTV 4K, since before xmas, I've needed to change inputs on my receiver twice. Once was to try to watch a Blu-Ray, couldn't, switched it back to FireTV and streamed the movie. And the other was to the PS4. I really can't imagine anyone except someone trying to find things to complain about would find not having an ‘Input’ button a downside. Do you really change your inputs like a dozen times a day that you need a dedicated remote button?